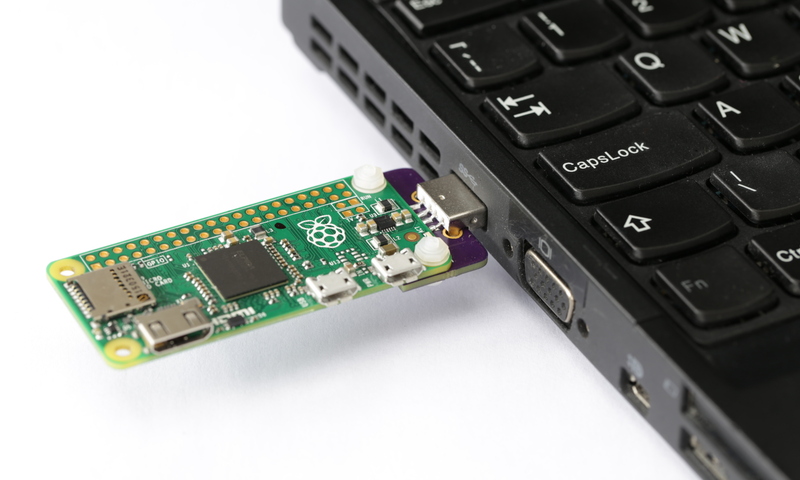 The Zero Stem is a PCB shim that turns a Raspberry Pi Zero into a USB dongle. 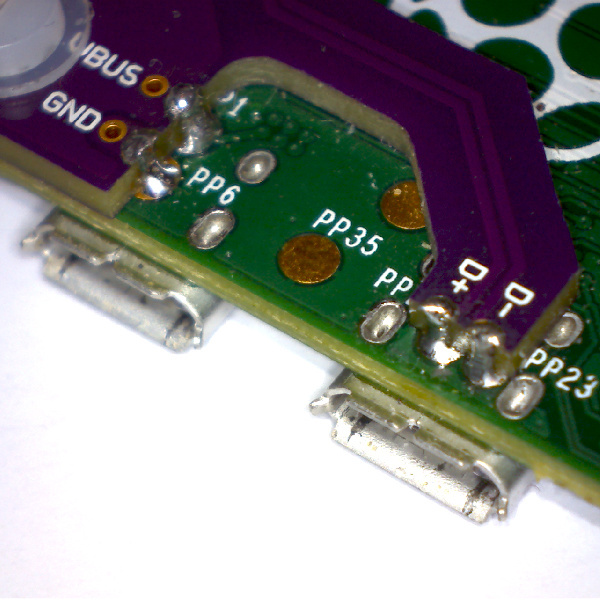 Once the shim is installed, your Raspberry Pi can be plugged directly into a computer or USB hub without any additional cables or power supplies. The Zero Stem is compatible with the Raspberry Pi Zero v1.3 and the Raspberry Pi Zero W v1.1. It is not compatible with the Raspberry Pi Zero v1.2 or any full-size Raspberry Pi. 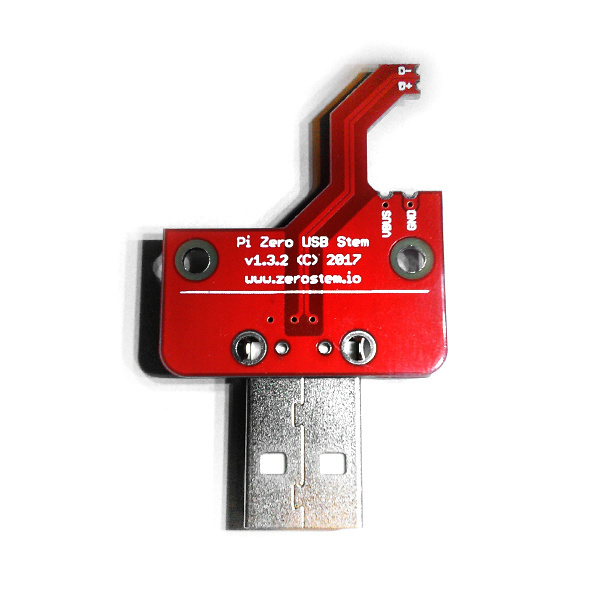 The Zero Stem is designed to be soldered directly to the USB test points on the bottom of the Raspberry Pi Zero, needing no wires or pogo pins. For detailed instructions please visit the Installation page. 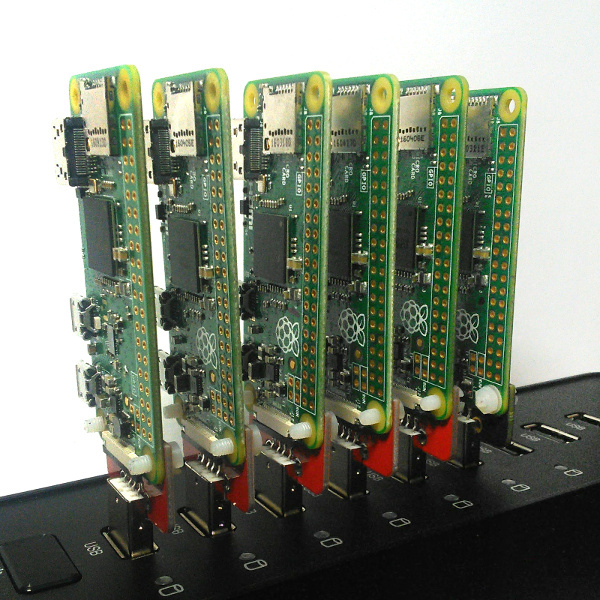 You could use a Zero Stem to create a portable VNC server, or even cluster several Raspberry Pi Zeros with just a USB hub. 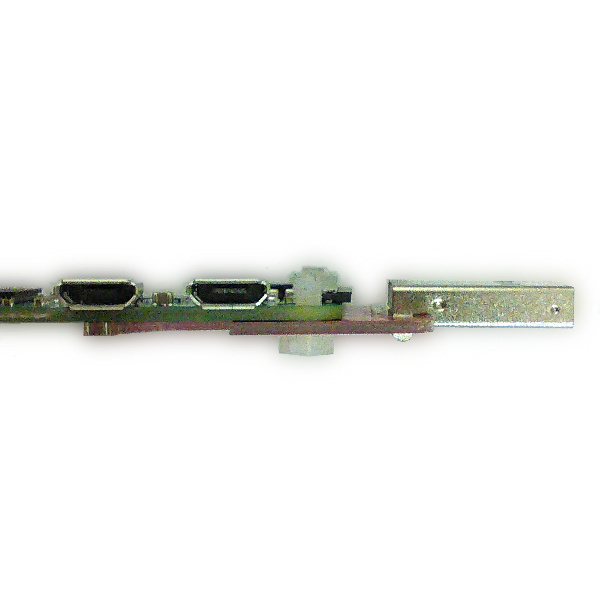 Once the Zero Stem is installed, the Raspberry Pi acts as a USB device using its own Linux kernel gadget drivers. Please visit the Documentation page for more details.